Louis Leakey remains one of the most recognized names in paleoanthropology and of twentieth century science. Leakey was a prolific writer, a popular lecturer, and a skillful organizer who did a great deal to bring the latest discoveries about human evolution to a broader public and whose legacy continues to shape research into the origins of mankind. Many people have found important fossils relating to human evolution, yet Louis and Mary Leakey’s excavations at Olduvai Gorge have attained an iconic status in the public imagination. It is worth exploring some of the reasons why. Louis was born in Kenya, the son of British missionaries. Some of the mystique surrounding his life stems from his vivid descriptions of growing up with Kikuyu friends surrounded by the spectacular wildlife of the area. Louis lived through the turbulent years of the Mau Mau rebellion against British colonial rule in Kenya (he served as a translator during the trial of Jomo Kenyata) and Kenyan independence in 1963. He is best known for the discoveries at Olduvai Gorge in Tanzania, but a significant aspect of that research was the important collaboration that Louis had with his wife Mary, who had trained as an archaeologist before their marriage. Louis and Mary’s work garnered wide public attention for several reasons. The idea of human evolution had become an increasingly exciting and contentious subject during the early twentieth century as newspapers covered the discovery of Peking Man in China, Australopithecus in South Africa, and Neanderthals in Europe. But the rise of creationism and events such as the Scopes Trial, which sprang from the Tennessee law banning the teaching of evolution in public schools, elevated the public interest in human evolution and its implications for how we see ourselves. When Louis discovered crude stone tools (called Oldowan tools) at Olduvai in the 1930s they were the oldest artifacts that had ever been found. In 1959 Louis and Mary made the exciting announcement that they had discovered the skull of a creature that walked upright and had a mixture of human and apelike features. With a good deal of media fanfare Louis presented the fossil to the world, and while giving it the formal zoological name of Zinjanthropus boisei, he also deftly gave it the nickname of Nutcracker Man because of the specimen’s massive jaw and teeth. Scientists and the public greeted the fossil enthusiastically but there were more surprises ahead. Determining the age of fossils had always involved considerable uncertainty, but a team of scientists from the University of California at Berkeley had recently developed a technique called the potassium/argon dating method that could date volcanic rocks. Louis arranged to have rocks from Olduvai dated by this method with the amazing result that Zinjanthropus had lived 1.75 million years ago. The use of this dating method soon became standard practice and has since been used to give dates for many fossils found in Africa and elsewhere. British archeologist and anthropologist Mary Douglas Nicol Leakey (1913-1996) and her husband Louis Seymour Bazett Leakey (1903-1972), 1962 by Smithsonian Institution Archives. Public domain via Wikimedia Commons. Louis went on to unearth new fossils during the 1960s from a more humanlike creature that was eventually named Homo habilis (Handy Man), but paleoanthropologists continued to debate the classification of these fossils and the very nature of this species. When Louis began his work most anthropologists thought humans had evolved in Asia, but his discoveries played an important role in shifting attention to Africa as the cradle of human evolution. Funding paleontological excavations was always a challenge and Louis skillfully used the public attention generated by his discoveries to establish a relationship with the National Geographic Society. The Society agreed to fund the Leakeys’ research and in exchange National Geographic magazine published dramatic accounts of the Leakeys’ new discoveries. The Society even produced a documentary in 1966 titled Dr Leakey and the Dawn of Man. This was a major innovation and opened the way for numerous articles and documentary films produced by the Society over the last fifty years that have been an important way of introducing people to the significant advances being made in human origins research. Louis also believed that in order to reconstruct the behavior of our early apelike ancestors we needed to know more about the habits and behavior of modern apes. Unable to pursue this research himself, Louis was instrumental in laying the groundwork in the 1960s for Jane Goodall’s momentous research of chimpanzees living in the Gombe National Reserve, as well as Dian Fossey’s studies of mountain gorillas in Rwanda and Biruté Galdikas’ investigation of orangutans in Borneo. These groundbreaking studies of apes in the wild fundamentally changed the course of primate research. Louis has also left a legacy of influential institutions that continue to promote and fund research relating to human evolution. In an effort to encourage research and to bring together scientists from different disciplines relating to human origins research, Louis created the Pan-African Congress on Prehistory. The first of these meetings was held in Nairobi in 1947, and the Congresses have continued to meet at irregular intervals ever since. Louis also served as curator of the Coryndon Museum, in Nairobi, which after Kenyan independence was incorporated into the newly created National Museums of Kenya. Under the leadership of Louis, and later of his son Richard, the Museum has remained a leading center of human evolution research. 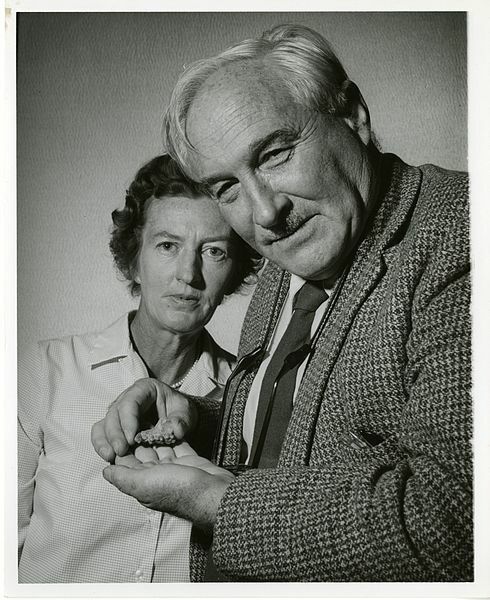 Today the Leakey Foundation, headquartered in San Francisco, California, as well as the International Louis Leakey Memorial Institute for African Prehistory, located in Nairobi, Kenya, continue the important research of Louis and Mary Leakey and stand as a testament to their accomplishments. Featured image credit: “Mary Douglas Nicol Leakey (1913-1996) and her husband Louis Seymour Bazett Leakey (1903-1972)”, from the National Geographic Society. Public Domain via Wikimedia Commons. Matthew Goodrum is a professor of history of science in the Department of Science, Technology, and Society at Virginia Tech. He writes on the history of paleoanthropology and prehistoric archaeology and the ways broader cultural and intellectual factors have influenced the development of these sciences. 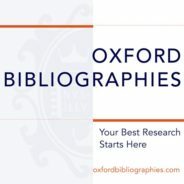 Matthew Goodrum is the author of the Oxford Bibliographies in Anthropology article “Louis Leakey”.